Is the acceptance of every child into minority kindergartens enough? 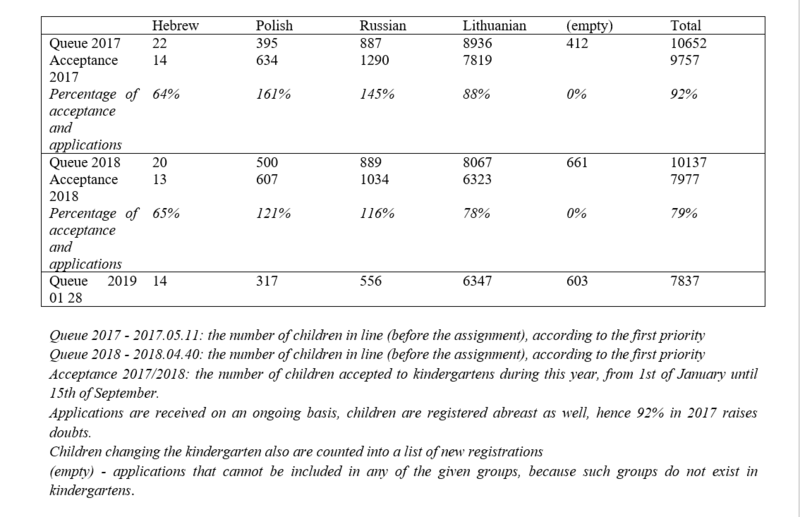 Kindergartens with Polish and Russian language accepted more children than there were applications received (according to the first priority). During the additional recruitment, children were accepted to additional and other (free) spots, that were declared last summer. According to statistics obtained from the Vilnius Municipality, from 500 applications received, 607 children were accepted to kindergarten in 2018 – including the first priority and additional selection. Although according to the statistics, the number of applicants to kindergartens increased in 2018 comparing to 2017, there is still a difference between the number of pre-schoolers and school-age students with Polish language. What can be noticed is that after finishing the kindergarten, children are being transferred to Lithuanian school. According to the director of European Foundation of Human Rights, Miroslav Suckel, the root of this situation is the quality of education system and lack of competitors. “Considering the tendency, that more and more Polish and mixed families decide to enroll their children to Lithuanian kindergartens, we decided to come up with an alternative. Right now we are beginning to implement the idea of a private Polish kindergarten, thus implementing the recommendations of the Advisory Committee for Education of National Minorities”, says the director. In January this year, the Advisory Committee introduced recommendations to Lithuania regarding implementation of the Framework Convention for the protection of national minorities, which states, that bilingualism and multilingualism should be promoted, both in schools as well as in kindergartens. 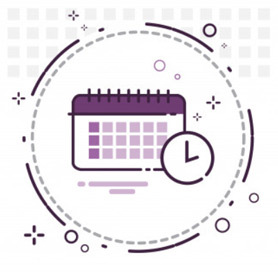 EFHR urges all willing parents who want to provide their children with the opportunity to learn in two or more languages to contact the Foundation. In this kindergarten children will learn in two languages – Polish and Lithuanian, and twice a week – also in English. It is planned that the kindergarten will start its activities in autumn, after gathering a group of children.